The Red Pine wind farm is located in Lincoln County, in the sounthwest part of Minnesota. 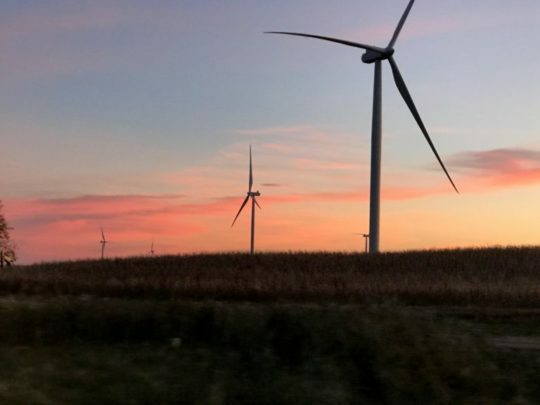 Consisting of 100 wind turbines, Red Pine wind farm generates enough power to meet the consumption of 92,000 average Minnesotan homes, according to US Energy Information Administration. With a emphasis on supporting local economy, EDF RE’s representative Kate O’Hair credited the tremendous “support of the Ivanhoe community”, recognizing “the positive impact” brought along the project with “over $18 million in supplies, equipment, utilities and fuel sourced from local businesses during the construction phase” as well as the assistance brought to the development of local organizations.